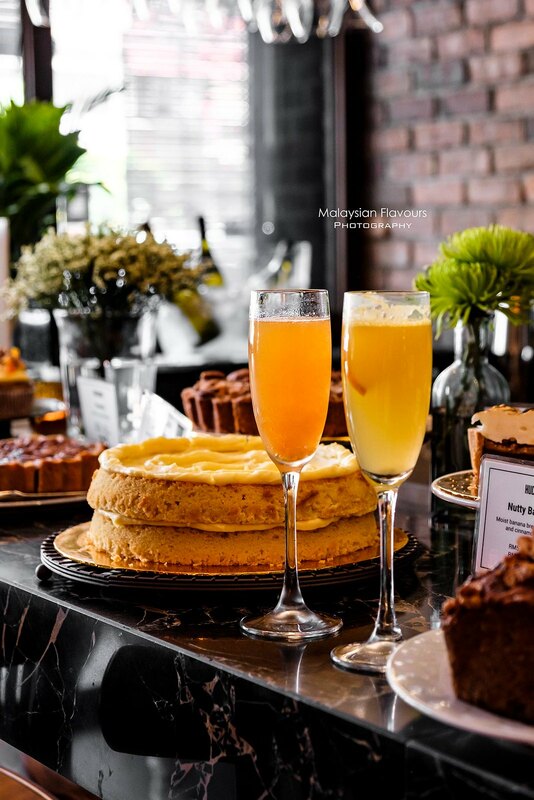 Mezze KL Medan Damansara now serves weekend brunch! 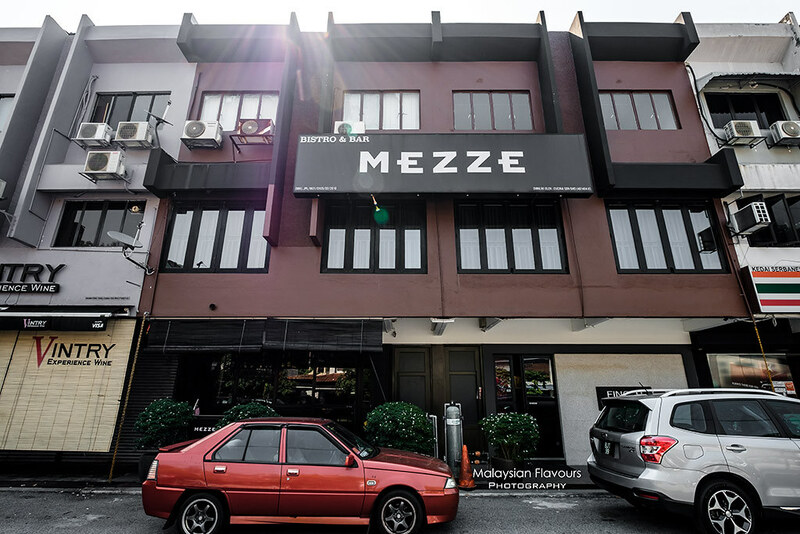 10 years in the F&B industry, Mezze Bistro & Bar at Medan Damansara KL has always been a reputable restaurant that celebrates flavours with inspirations from Spain, Italy, Morocco and Turkey, flourished with a touch of Asian twist. 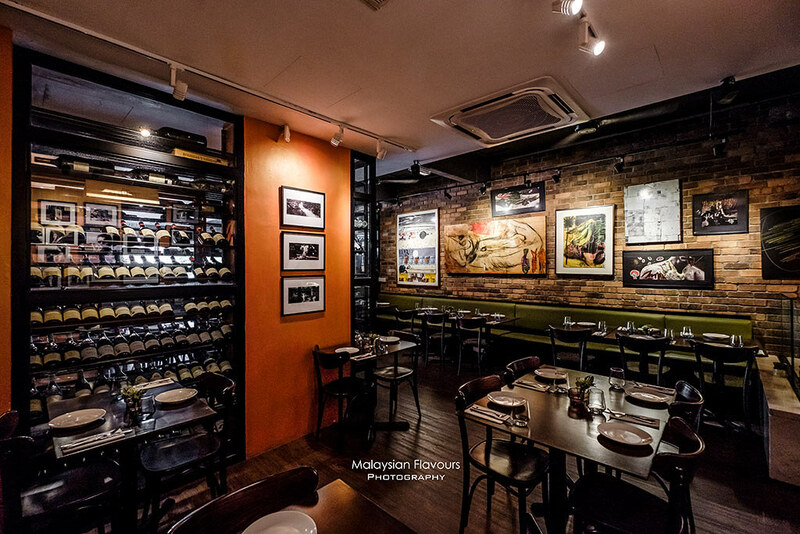 Along with the good food, the establishment carries over 200 wine labels – an impressive selections that set to elevate your dining experience, in an inviting ambience greeted with raw & rustic charm. 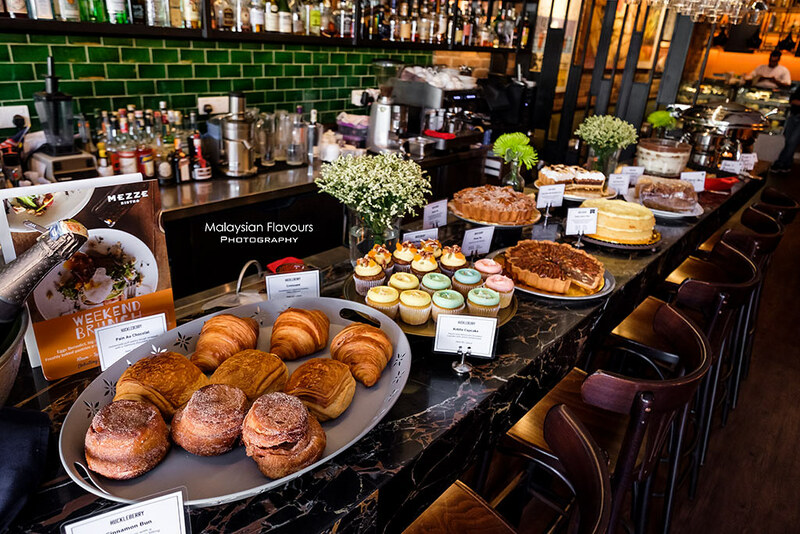 While Mezze KL undoubtedly serves as a great venue for dinner, now you get more reasons to visit this place on weekend as they launched their brunch menu, available only on Saturday and Sunday, from 10AM-3PM. 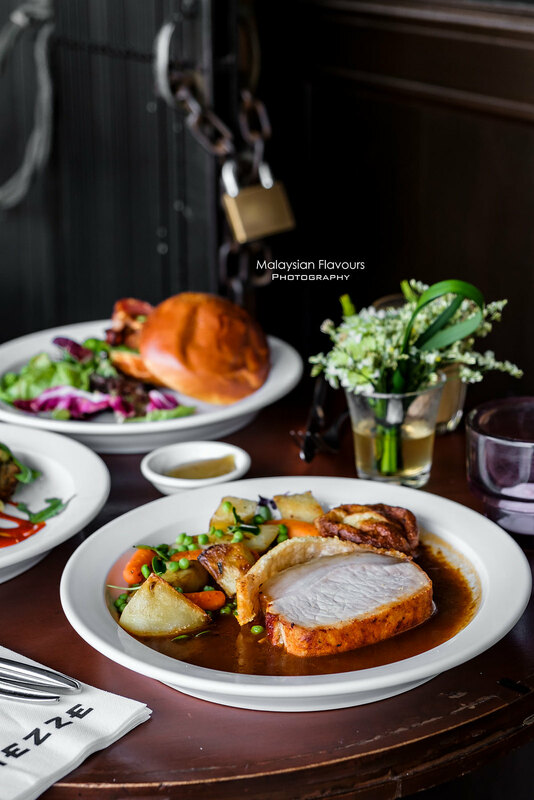 Mezze KL brunch menu might not be extensive, but rest assured, satisfying with both classic favourites and chef’s signature creations. 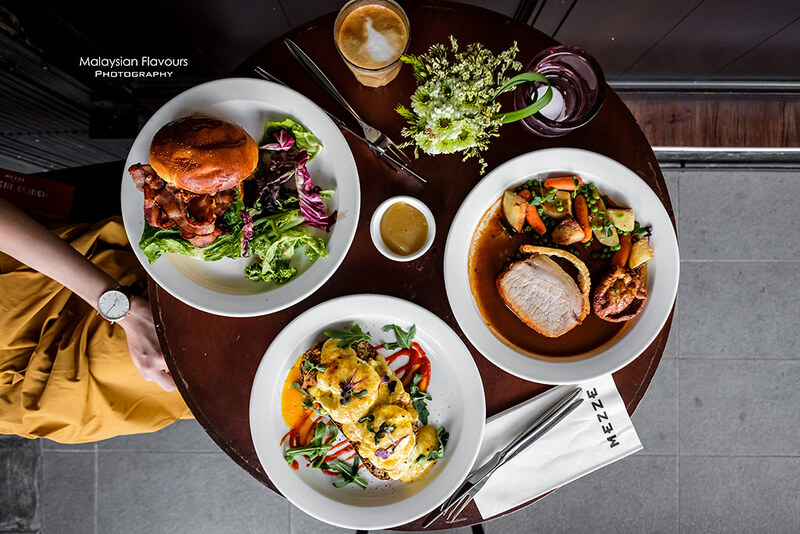 From Mezze Big Breakfast Platter to Pulled Pork Benedict, Portobello Benedict, Brunch Burger, Fish & Chips, Mezze Beef Noodles, Roast Pork Loin and Wagyu Burger – try ’em all. 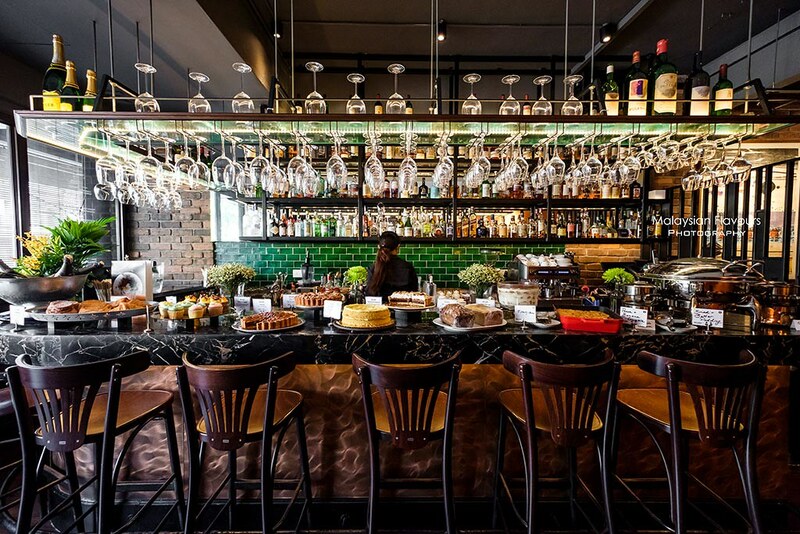 Forget about Royale Salmon Egg Benedict, Mezze KL Specialty Benedicts easily won our heart. 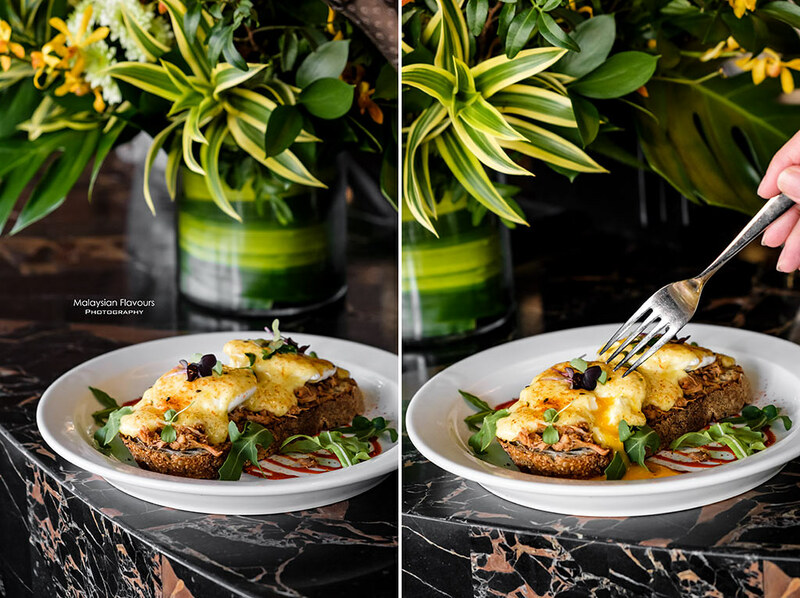 We especially enjoyed their Goanese Pulled Pork Benedicts, egg benedicts that features freshly baked 7-grain sourdough bread from Huckleberry, layered up with slow-roasted pulled pork marinated with Indian spices and apple cider, beautifully poached egg and creamy Hollandaise sauce. 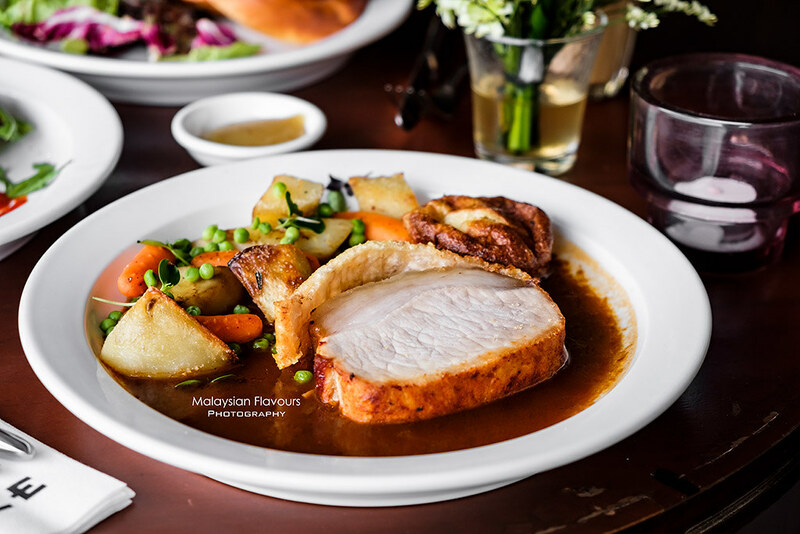 Roast Pork Loin, 200g was our random order, ended up becoming the best dish among the rest we had. Juicy, meaty pork tenderloin with extra crunchy, roasted to golden brown skin, dressed in brown pork jus with a side of Yorkshire pudding, duck fat potatoes, roasted vegetables and homemade apple sauce. So good you gotta try this out! More porky goodness. 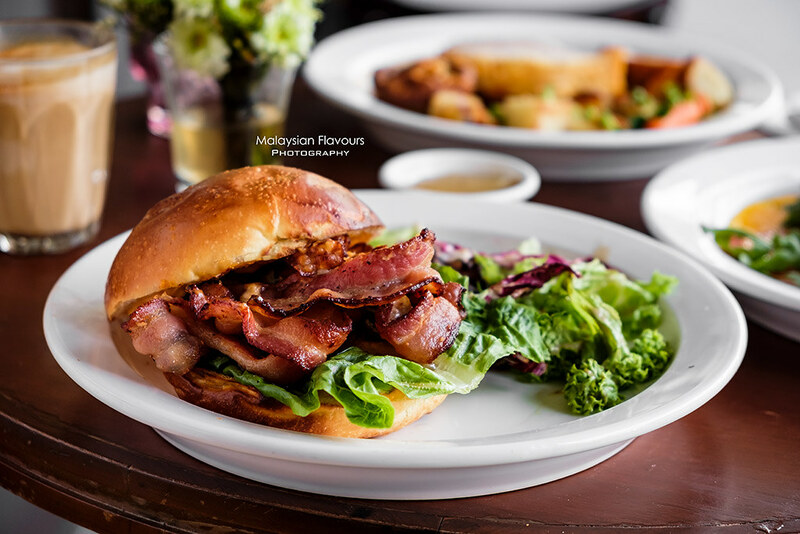 Smoked streaky bacon, chipotle mayo, romaine lettuce sandwiched within two fluffy Huckleberry brioche buns. 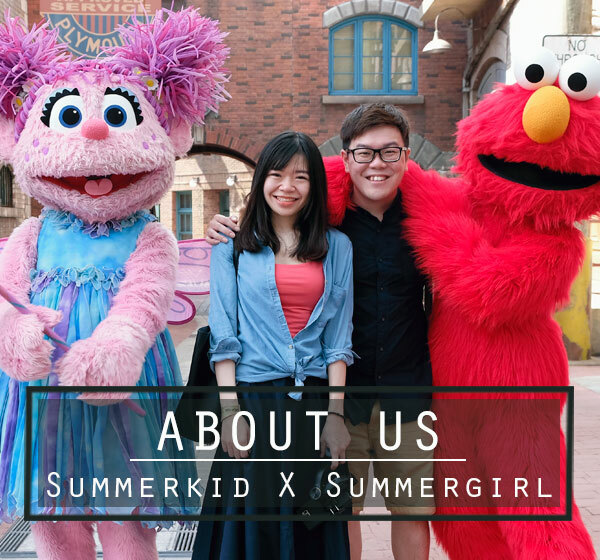 Ours is standard version. Suggest to add on cheese, egg and sauteed mushroom for a more substantial meal! 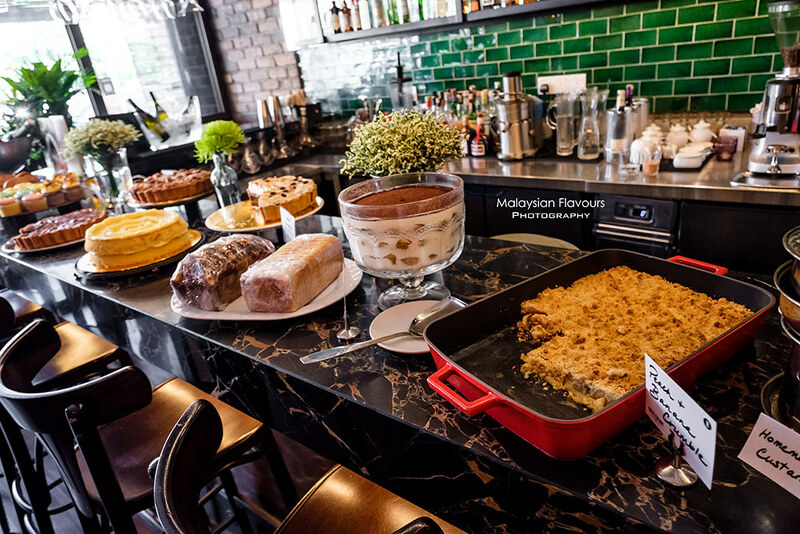 For sweet, Mezze KL offers choices like American Pancake Stack, Banana Pecan Bacon French Toast, Bread & Butter Pudding, Classic Tiramisu, Crepes Suzette, Chocolate Royale, Caramel Bar, Blackout, etc.. Prepared in-house, highly recommend Chocolate Royal if you love your dessert thick, rich and extra chocolaty with nutty crispiness. 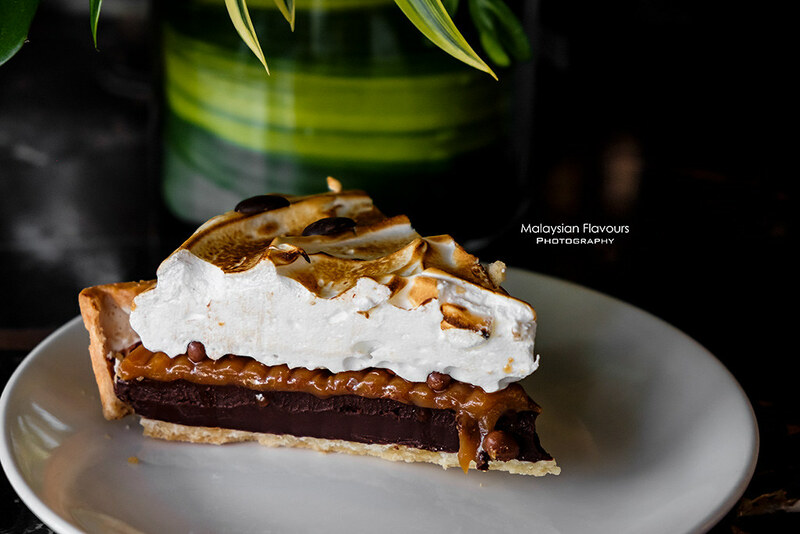 Alternatively, you can also have cakes, pastries and pies from Huckleberry Cafe, Mezze’s sister restaurant. 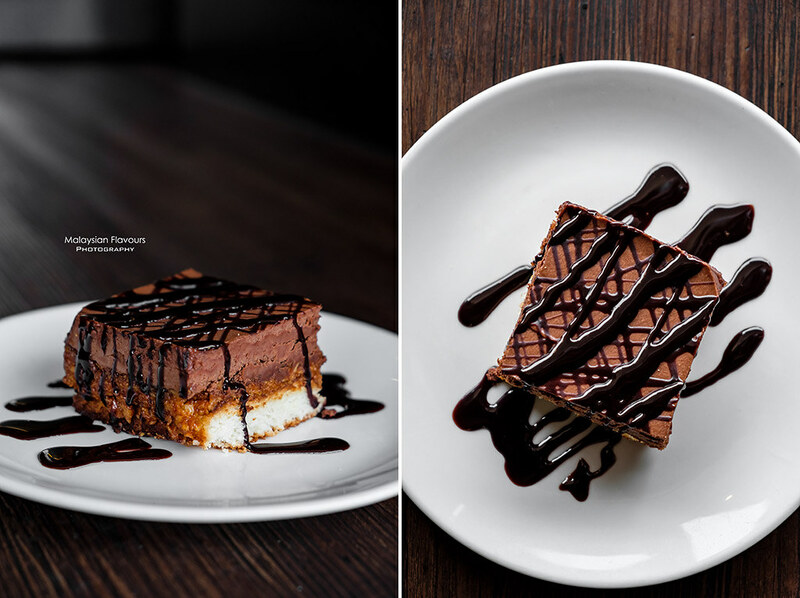 The ever-popular Burnt Cheesecake is the must have; Pecan Pie, Zesty Lemon Pie, Chocolate Marshmallow Pie, Rustic Apple Pie, Nutty Banana Bread are equally lovely! Mimosa and Bellini, two refreshing, easy-to-drink cocktail specially concocted to go with our brunch. Do check out more about Mezze KL weekend special promo for cocktail & wine with their friendly staffs.